Is Floyd losing his PPV touch? By John F. McKenna (McJack): World Boxing Council (WBC) welterweight champion Floyd Mayweather Jr. (42-0, 26 KO’s) despite what many boxing fans may think about him has always been able to fall back on his huge drawing power. Floyd often boastfully points out to anyone who will listen that no other fighter can match his ability both at the live gate and his Pay Per View (PPV) numbers. “Money” Mayweather also humbly adds that he single handedly took the heavyweights out of the equation when it comes to being the biggest draw in boxing. And for the most part Floyd has been right. Before Floyd Mayweather Jr. the heavyweights were the dominant force in big money fights. Going all the way back to the first heavyweight champion of the world John L. Sullivan, heavyweights were what boxing fans were willing to put their money down to see. Rocky Marciano, were able to bring in. Dempsey was bringing in million dollar live gates back in the 1920’s when a new automobile could be purchased for a few hundred dollars. So when Mayweather boasts that he replaced the heavyweights as the biggest draw in boxing, he is correct. And it has long been assumed that Mayweather, because of his superstar status in boxing could bring in huge PPV numbers even without another big name on the ticket. But things may be changing. The silence has been deafening with regard to any concrete PPV numbers forthcoming since Floyd’s September 17 KO win over Victor Ortiz. The live gate receipts were reported to be nine million dollars, far short of what was predicted. Normally the PPV numbers mirror the live ticket sales. It is almost certain that if the PPV numbers for the Mayweather – Ortiz fight were high, HBO, the promoters and Mayweather himself would be trumpeting it to the world. After all, “Money” would be able to use those numbers as a bargaining chip during negotiations for his next fight. Boxing fans will be closely watching the PPV numbers when Manny Pacquiao takes on Juan Manuel Marquez on November 12 to determine if there is an overall decline in PPV numbers in boxing. Pacquiao – Mosley drew approximately 1.4 million PPV buys last May. 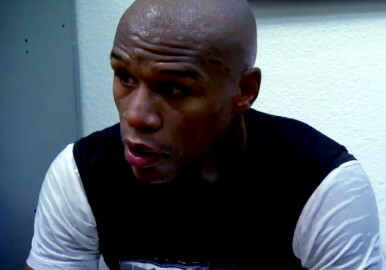 Boxing » Floyd Mayweather Jr » Is Floyd losing his PPV touch?